It was only matter of time before Kristen&apos;s (Eileen Davidson) double, Susan Banks (Eileen Davidson), made an appearance! Get ready for a showdown a decade and a half in the making on Days of Our Lives! Kristen/Susan/EJ/Sami/Stefano: Susan gives EJ (James Scott) a message. She&apos;s worried about her boy&apos;s safety, and isn&apos;t pleased he&apos;s back with Sami (Alison Sweeney). Later, Susan has it out with her doppelganger Kristen. 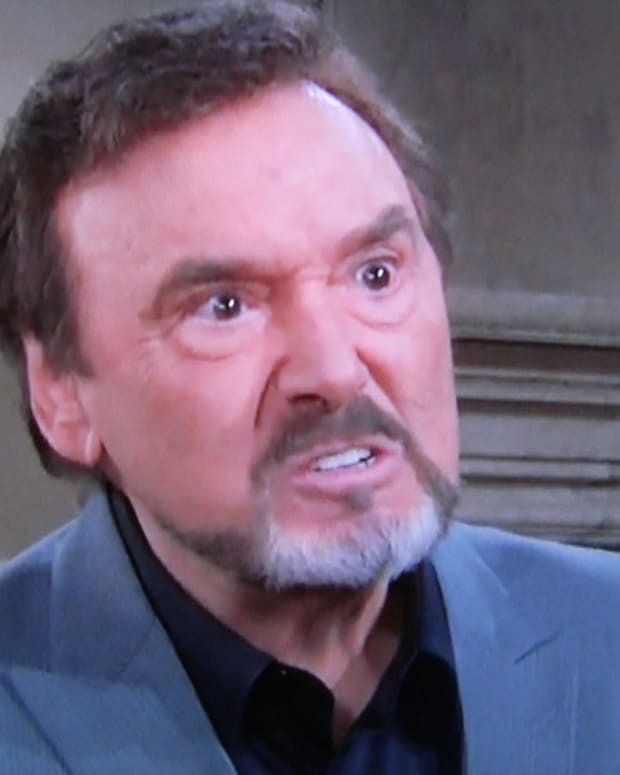 Meanwhile, EJ and Sami&apos;s reunion irritates Stefano (Joseph Mascolo). Sami also has a few questions for EJ about Kristen&apos;s accusation. Paige/JJ: Paige (True O&apos;Brien) learns of a dark time in JJ&apos;s (Casey Moss) family history. Paige soon tells JJ what she overheard, and he begins to act strange. Daniel/Eve: JJ asks Daniel (Shawn Christian) to help him fend off Eve (Kassie DePaiva). Aiden/Hope: Aiden (Daniel Cosgrove) and Hope (Kristian Alfonso) have a rough first date. Ben/Abigail: Ben (Robert Scott Wilson) surprises Abigail (Kate Mansi), and they hit the sheets. Kate/Chad/Jordan/Rafe: Kate (Lauren Koslow) and Chad (Billy Flynn) try to get one over on Stefano. Then, Kate picks a fight with Jordan (Chrishell Stause) about Rafe (Galen Gering) and Clyde (James Read). Clyde: Clyde has every intention of double-crossing EJ. Nicole: Nicole (Arianne Zucker) has a sweet moment with EJ. Jennifer: Jennifer (Melissa Reeves) takes some heat from Eve over her relationship with Jack. Theresa: Theresa&apos;s (Jen Lilley) worst nightmare becomes a reality. Marlena/John: Marlena (Deidre Hall) and John (Drake Hogestyn) reconcile. Victor/Maggie: Victor (John Aniston) gives EJ some shocking news, and then gets some of his own. Hope divulges to him and Maggie (Suzanne Rogers) that she’s getting divorced.